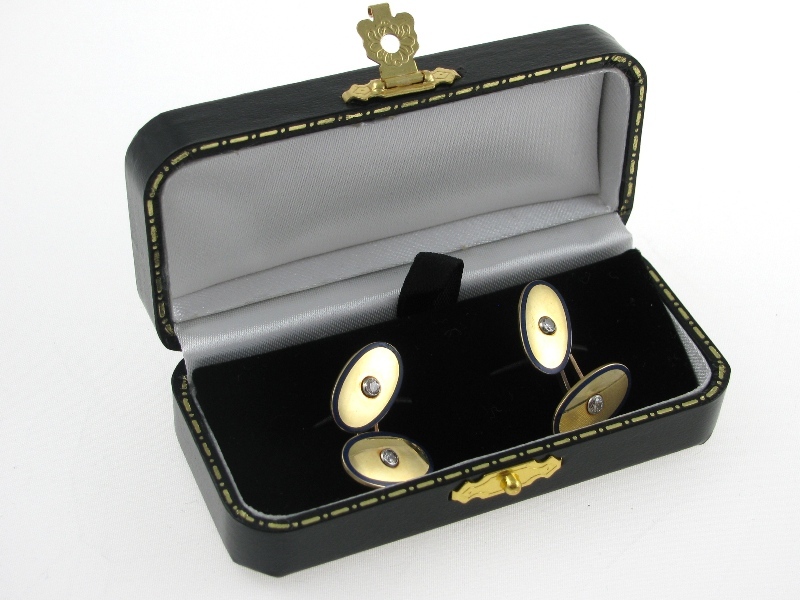 A stunning pair of 18k gold Enamel cufflinks. 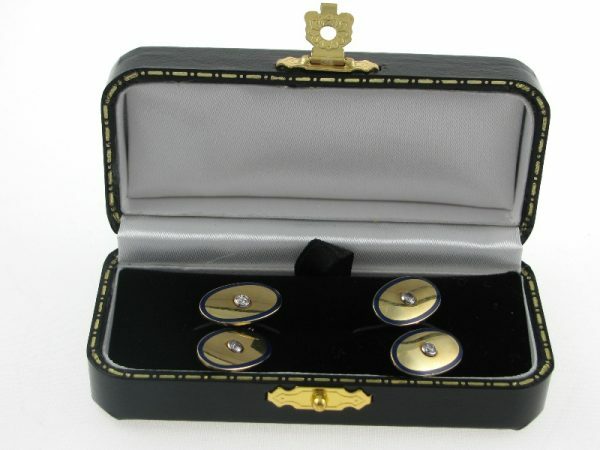 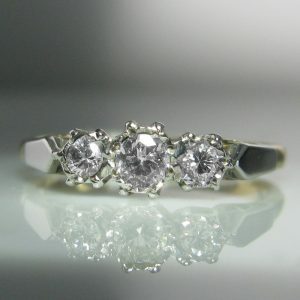 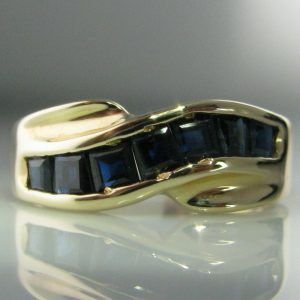 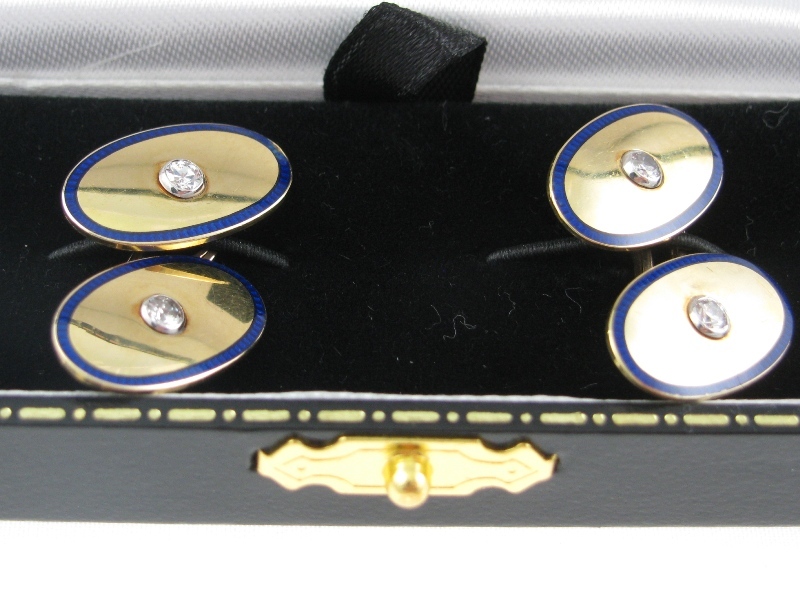 This pair of cufflinks are oval shaped with a blue enamel edge and are diamond set. 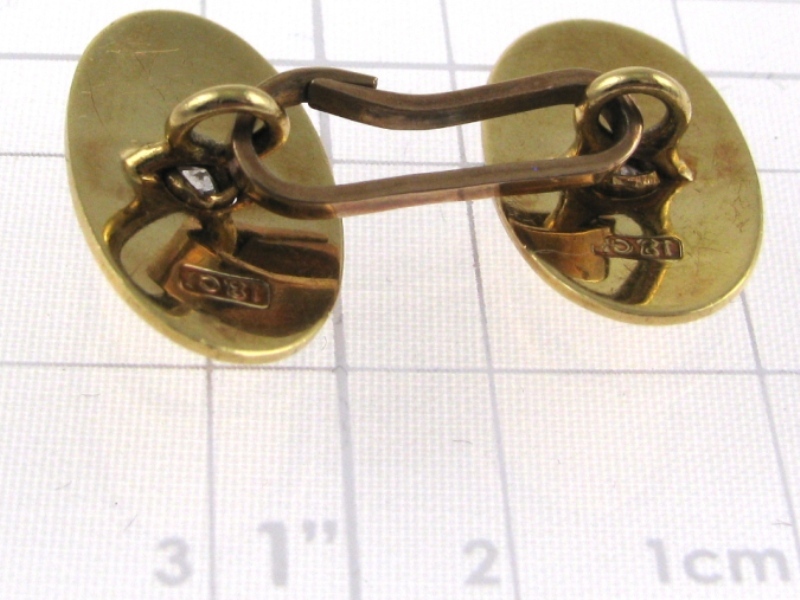 The cufflinks are in excellent condition.